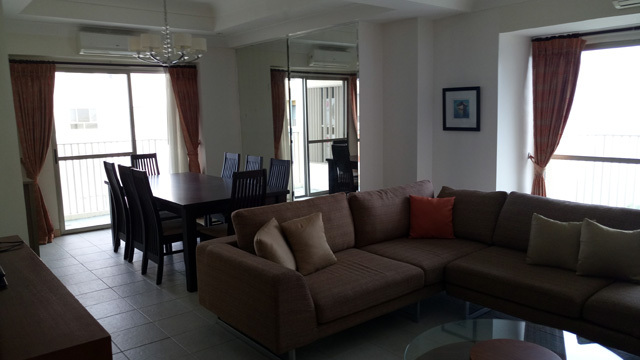 FOR RENT nicely furnished 3BR Condo 300 located at the Residences 2 of Movenpick Hotel Mactan Island Cebu. This unit offers sea views on the Shangrila hotel side. It has a spacious floor area of about 164 sqm (1,755 sq.ft), with one parking slot. Renter enjoys free use of Movenpick Hotel’s white sand beach and swimming pool, discounted rate at restaurants/ bars/shops inside the hotel complex. You can order food from your unit and it will be delivered to you. It is like living in a 5-star hotel resort complex whole year round. Rental rate: 95,000.00 pesos/month plus condo dues.